Brian has over 33 years of experience in the Fire and Water Restoration industry. Brian holds certification from Institute of Inspection Cleaning and Restoration (IICRC) as a Water Removal Technician. He currently serves as Chief Financial Officer at SERVPRO of Springfield/Greene County. He has traveled extensively with our Storm Team to flood and hurricane catastrophes. Brian is a graduate of Missouri Valley College. David has over 33 years experience in Fire and Water Restoration. 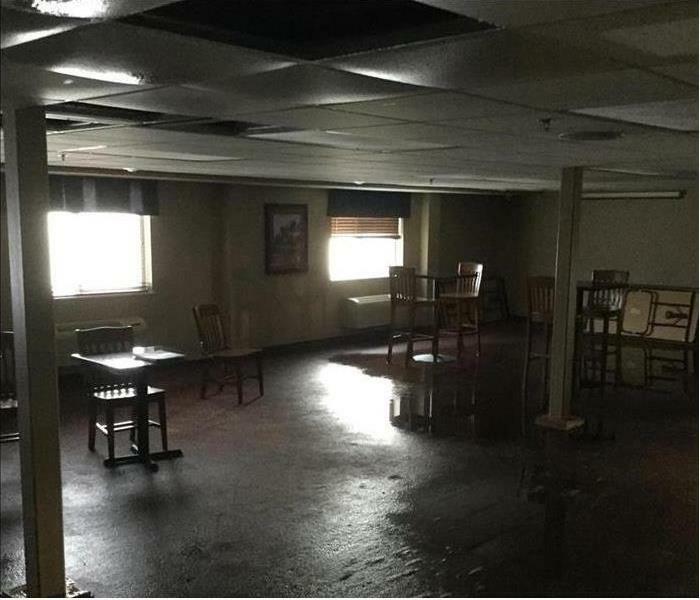 He has the following Certifications from the Institute of Inspection Cleaning and Restoration Certification (IICRC): Water Damage Restoration Technician, Applied Structural Drying and Fire & Smoke Restoration. He is an active member of our Storm Team traveling across the country for major catastrophes. For the past two years David has been serving as the Marketing and Sales Manager. 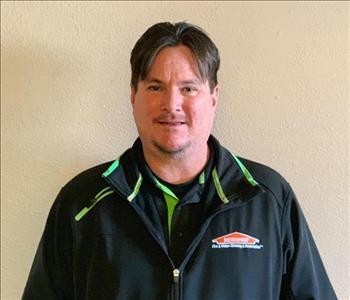 Daniel has over 33 years experience in Fire and Water Restoration with SERVPRO of Springfield/Greene County. He has the following Certifications from the Institute of Inspection Cleaning and Restoration Certification (IICRC): Water Damage Restoration Technician and Applied Microbial Remediation Technician. He is an active member of our Storm Team traveling across the country for major catastrophes. Daniel specializes in Mold Remediation. Travis has been with SERVPRO of Springfield/Greene County since 2011. 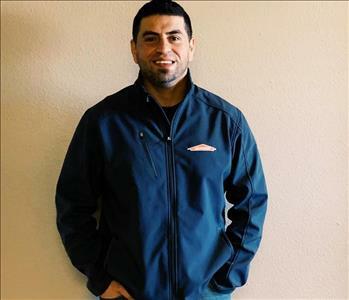 He has a Bachelor's Degree of Applied Science at Missouri State University and the following certifications from the Institute of Inspection Cleaning and Restoration Certification (IICRC): Water Damage Restoration, Applied Microbial Remediation and Applied Structural Drying. Travis is a member of our Storm Team and has traveled extensively to hurricane and flood disasters across the country. Jacob is a Commercial Business Development Specialist at SERVPRO of Springfield / Greene County. Jacob has many years of experience in commercial sales world and is a great addition to our team. Anna Grimm is a Sales and Marketing Representative at SERVPRO of Springfield/Greene County. Anna has been with us since 2015. She is an active member in her marketing group Masterminds of Biz (M.O.B.) . She is also involved in our community as a volunteer with Pregnancy Care Center. Melody Bryngelson has been serving in the Marketing Department as the Marketing Support Coordinator of SERVPRO of Springfield/Greene County since January of 2014. She has several years experience in digital marketing and event planning. Jeff is the Production Manager at SERVPRO of Springfield/Greene County. Jeff had 18 years of experience in the Insurance industry before joining our team in January of 2015. He graduated with a Bachelors Degree of Science in Psychology from Lamar University in 1996. Jeff has the following certifications from the Institute of Inspection Cleaning and Restoration Certification (IICRC): Water Restoration Technician and Applied Structural Drying. Eric Nielsen is a Construction Project Manager at SERVPRO of Springfield/Greene County. Eric is going on his 30th year in the cleaning and restoration industry. Eric started with his family at the age of 14, working as a cleaning technician and construction laborer. Eric started his own cleaning and restoration business in the Table Rock Lake area in 1996. He sold his business in 2016. He is IICRC Certification in water, fire and odor. Eric is active with the schools and community of Stone County he is also the Public Information Officer for the Southern Stone County Fire Protection District and a member of the Table Rock Rotary. Kimberly is the Office Manager at SERVPRO of Springfield/Greene County. She has served in many different capacities in our office since 2002. Kimberly holds a certificate from the Institute of Inspection Cleaning and Restoration Certification (IICRC) for Water Removal Technician. Nakeshia is the HR and Accounts Payable Specialist at SERVPRO of Springfield/Greene County, she has been with us since August of 2014. John is a lead Water Mitigation Drying Specialist at SERVPRO of Springfield/Greene County. He has been with us since 2005. John has the following certifications from the Institute of Inspection Cleaning and Restoration (IICRC): Carpet Cleaning Technician, Applied Structural Drying Technician and Water Removal Technician. He is also a member of our Storm Team and has traveled with us to major floods and catastrophes. 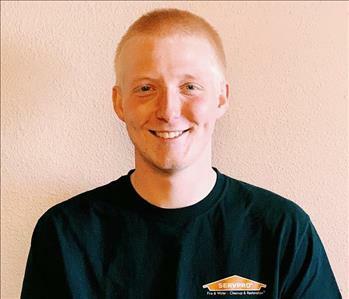 Nick Seyler is a Lead Production Technician at SERVPRO of Springfield/Greene County, Nixa & Branson. Nick has served in this position since 2014. 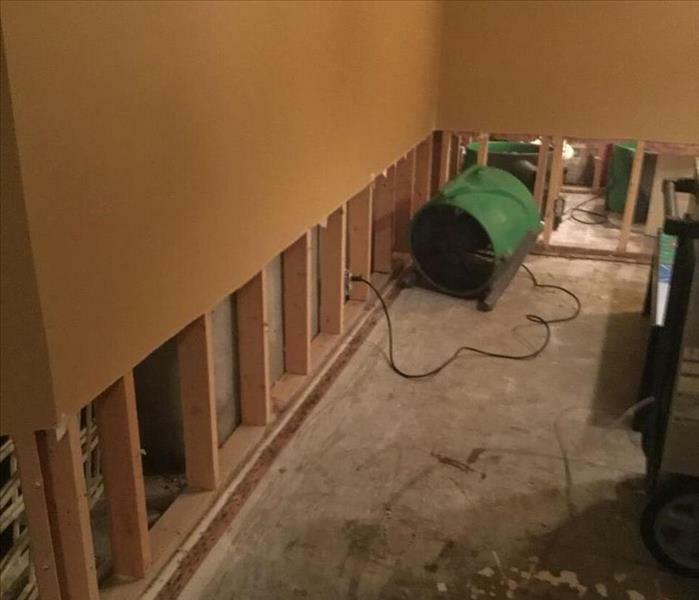 Nick specializes in mold remediation and construction demolition for our franchise. Dallas Hanika is a Lead Production Technician at SERVPRO of Springfield /Greene County. Dallas has the following certifications from the Institute of Inspection Cleaning and Restoration (IICRC): Applied Structural Drying Technician and Water Removal Technician. Shaun Betsill is a Production Tech at SERVPRO of Springfield/ Greene County. Shaun has the following certifications from the Institute of Inspection Cleaning and Restoration (IICRC): Applied Structural Drying Technician and Water Removal Technician. Mike Gawith is a Production Technician at SERVPRO of Springfield/ Greene County. 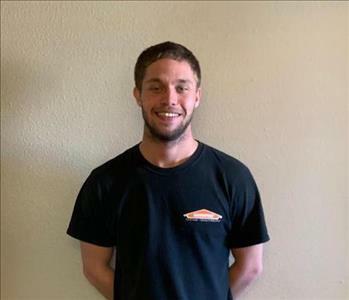 Mike is certified with the Institute of Inspection Cleaning and Restoration Certification (IICRC) as a Water Removal Technician. Cathy is a First Responder and Content Specialist at SERVPRO of Springfield/Greene County. Cathy has 18 years experience in the Restoration Industry and has been with us since 2012. Cathy is certified with the Institute of Inspection Cleaning and Restoration Certification (IICRC) as a Water Removal Technician and Fire & Smoke Restoration. Cathy also specializes in content cleaning. Sean is a Production Technician at SERVPRO of Springfield/Greene County. Sean has served in this position since 2018. Blake is a Production Technician at SERVPRO of Springfield/Greene County. 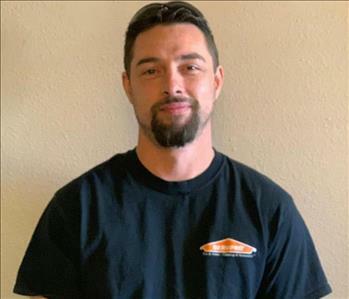 Blake has served in this position since 2018 and has several years experience in the restoration industry. Dean Terrill is a Production Technician at SERVPRO of Springfield/Greene County. Dean has been with us since 2018.